3D License Plate USA Sign PS353 - California Car Cover Co. 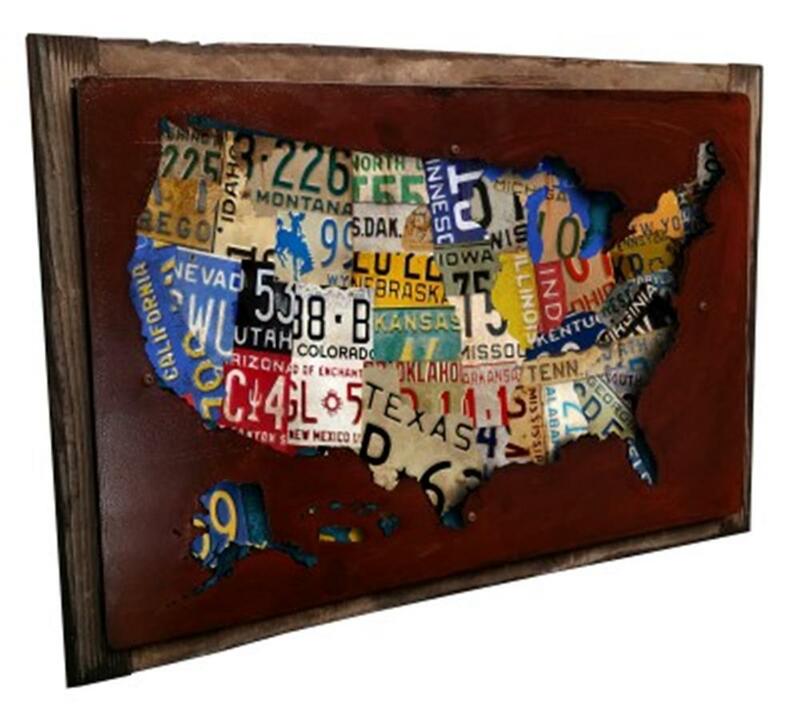 The multi-colored license plate sign is layered with a silhouette of the USA map, for a truly 3-dimensional effect! Handmade from heavy-gauge American steel, the 18" x 12" metal artwork with wood frame is pre-drilled and ready to hang. Made in the USA.